Heavy Planet : Sunday Sludge: Treehorn - "Hearth"
Sunday Sludge: Treehorn - "Hearth"
Let's call this "fango." Is that a stretch? Italians have a way of making everything sound sexier, so perhaps cleaning up the Sunday Sludge won't work if we have to call it Domenica Fanghi. 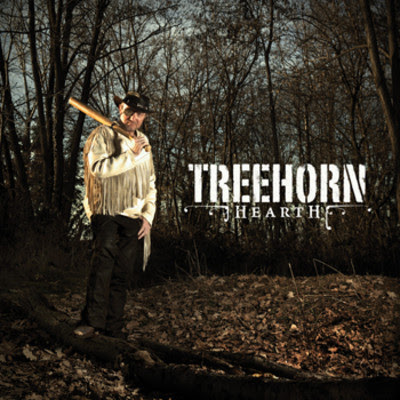 Regardless of where you're from, Treehorn give listeners plenty to love on their stone-solid debut full-length, Hearth. Combining sludge with enough stoner, grunge, and even doom to get the rats in Venice to scamper west to Cuneo, Hearth is as much a tutorial on tempo shifts as it is Guitar Lick Composition 101 at Accademia Di Belle Arti. Treehorn showcases the talents of guitarist Gianandrea Cravero, bassist and anti-crooner Davide Maccagno, and drummer Davide Olivero. Hearth opens up with a Tad-like low bass rumble, steadily rolling drums, and tiptoeing guitars on Stockholm. There's a spooky stoner groove that sounds pretty sweet on a misty autumn morning. What strikes listeners immediately is the confidence these guys have in their musicianship. Coming as close as one can to resurrecting the legacy of Andrew Wood, Maccagno's vocals ooze machismo over crunchy rhythm and slicing guitars. You'll be surprised at how quickly this album captivates. Tempos pick up on Taurus, not Bull, utilizing a full-skin drum assault and chop/slap guitar ascent. The stoner fuzz seems to be building toward something, while the John Garcia-inspired pipework is easy to celebrate. The ashy licks, diminishing meters, and buzzy repetition spell-out desert bong-rips. From Taurus, immediately enter the empty corridor of Wakin' Life, where smoky haze tiptoes over leaf-burning vocal distortion. Guitars trip and stay fizzy, drums manage to take their sweet time. The steaminess could serve as a nod to Danzig, though the 90's grunge elements do make the track more accessible. The blistering Senescence wastes no time in ratcheting up the drums and timing out some pretty erratic fretwork. A hummy grind emerges as the riffs never fall short of incendiary. As the track shifts and reshapes, you're met with the realization that you're gonna need a second listen. There's so much going on in these 7-plus minutes that you could easily miss the drone, the massive breaks, the bass stealing the guitar's marquee, or an airplane's slow-motion descent into splintered timber. This is the best track on Hearth, even without the breakneck return that leaves a village smoldering. How 'bout a little doom, Scarecrow? Aluminum imports Cathedral-style organs that might make Lee Dorrian wish he'd gone even slower. The distant death-groan is perfect, sounding like a stormy night in an old horror film. Guitars grind, bass sputters and rumbles. The extended belch only serves to make the guitar appear more nervous, while listeners will sense evil at the backs of their necks. Über-creepy, über-awesome. Sludge remains evident throughout these eight crumbly bits, never more so than on Freeway to the Sun. A grinding rhythm plods, led by loose bass and ultimately coming full-circle to end up face down in a Southern swamp. Vocals are balanced like Anselmo and Staley, while a windy guitar sneaks in and slaps us in our filthy faces. I loved how slow the tempo managed to become here. Black Mirror is pure sludge stomp, though frequent rhythm changes and a bouncy ride home from the bayou balances the uphill stumble. I've been told Italy's absolutely gorgeous. Treehorn are doing all they can to make sure I don't buy in. But somehow, the moss and grime caked on Hearth's eight concrete slabs is enough to make me wanna visit l'avvio. A trip just isn't in my budget. For now, a trip through Senescence and Aluminum is just dirty enough.